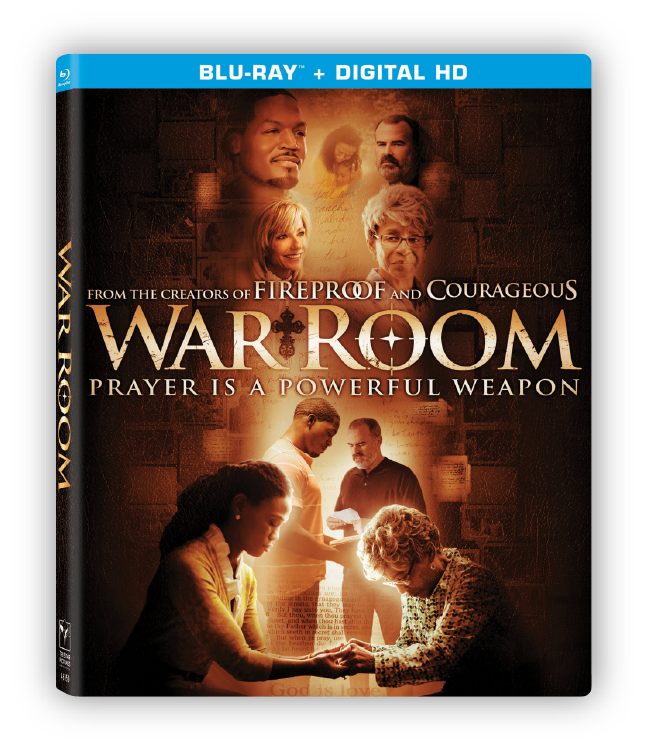 Have you seen War Room? Did you love it as much as I did? I watched it on Sunday with my family and I could have written the script myself. I was meaning to see War Room when it released in theaters, but talked myself out of it. I had no idea the movie about marriage and prayer. I did not realize how powerful the message was for marriages. Instead of seeing War Room when it released, I made the dumb decision to go see another movie. I won’t name right now, but I will tell you I regretted the decision. To make up for my mistake, I planned a movie night over the Christmas holiday. 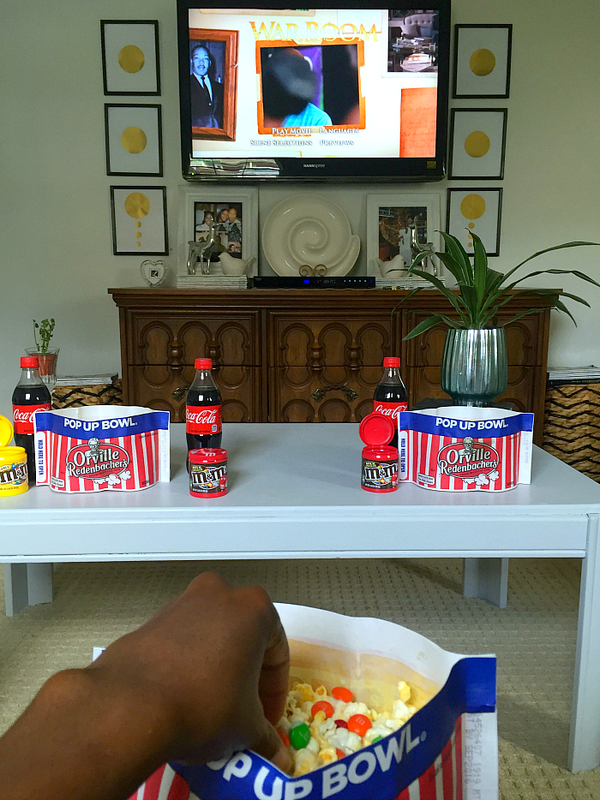 On the agenda was War Room and a special movie snack. I picked up Orville Redenbacher, some Coca-Cola, and M&M’S® Chocolate Candies at Walmart to make a sweet and savory dessert. 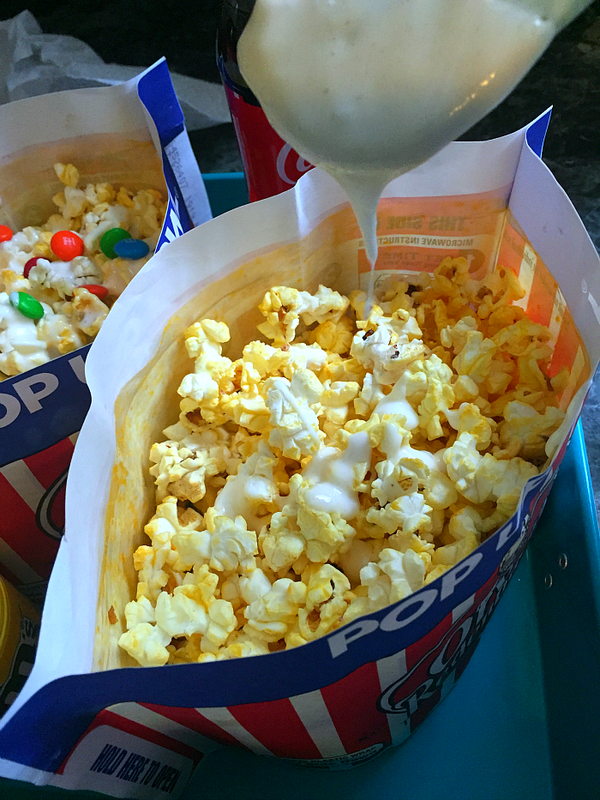 Using the popcorn and candy, I whipped up a delicious and easy movie treat for us. 1. Pop the popcorn according to the instructions on the package. 2. In a sauce pan melt the white chocolate chips, marshmallows and corn syrup. 3. Now pour the mixture over the popcorn and fold together. 4. Add the M&M’S® Chocolate Candies. The dessert was delicious and War Room absolutely amazing. This is a movie I highly recommend for struggling marriages. In fact, for any marriage. I can see myself buying a few copies to gift to some couples I know who haven’t seen the movie. 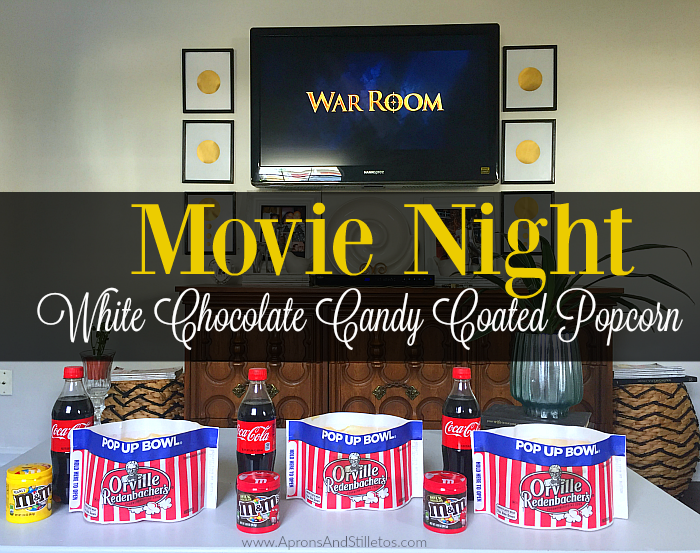 If you want to plan a White Chocolate Candy Coated Popcorn, War Room movie night, be sure to purchase your snacks at Walmart. 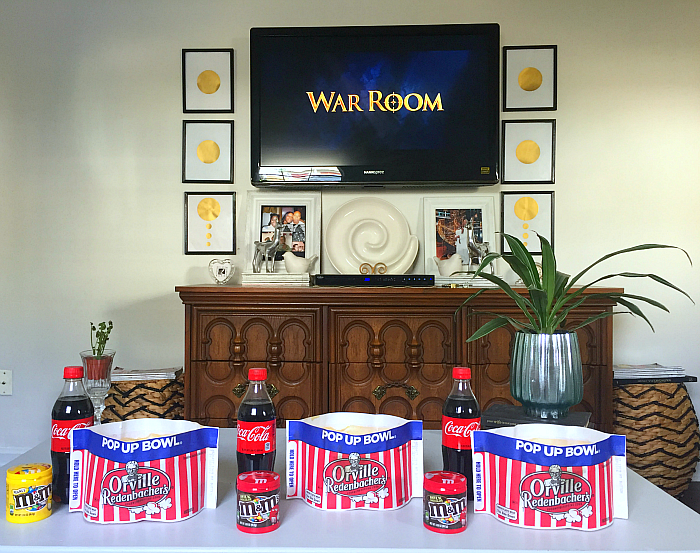 War Room is on new release and theirs a promo that will earn you a $10 Vudu movie code*. 1. Buy all 4 participating products listed below in one transaction at Walmart between 12/22/15 and 2/2/16. 2. Snap a picture of your receipt and visit uploadreceipt.com/movienight to submit your receipt by 2/9/16 and get a $10 Vudu movie code* by email. *While supplies last. Limit 1 per person. 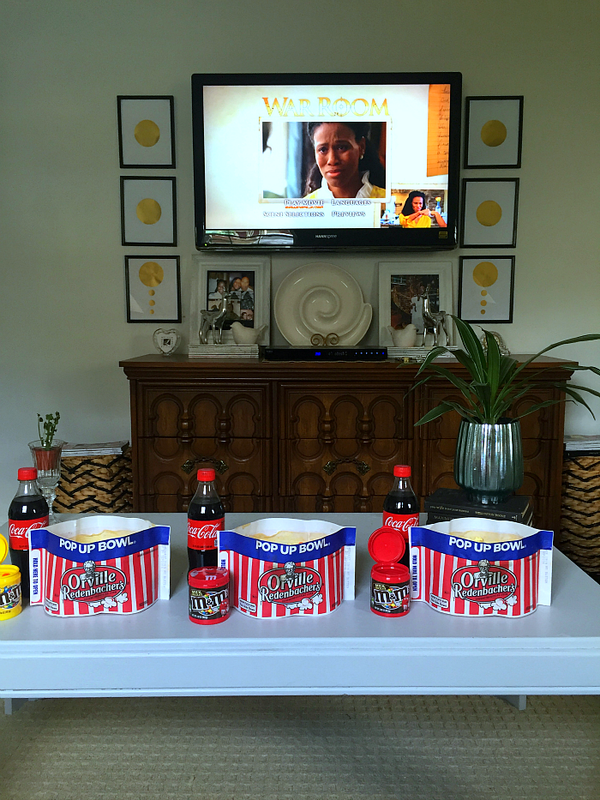 Be sure to check out more fun movie night ideas here and be sure to take advantage of the $10 VUDU offer!